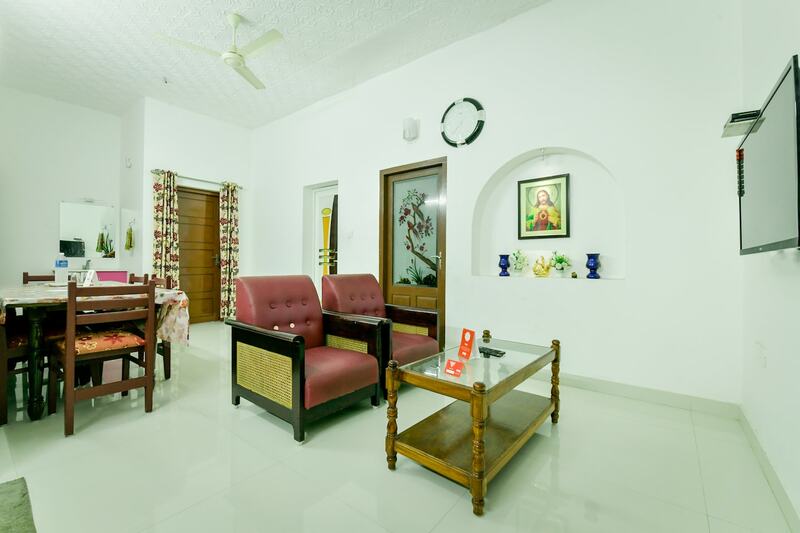 OYO 14038 Home Cozy Stay Edapally is the right choice if you want to stay close to Kochi action while enjoying a comfortable stay. For any kind of assistance you need in relation to your stay, our skilled and friendly staff is just a call away. The rooms have been designed per the taste of modern travellers with each element of decoration chosen passionately. You can find all the amenities like Nearby, AC, Shared Kitchen to your comfort. Wander around the city visiting its top attraction like Museum Of Kerala History, Thrikkakkara Vamana Moorthy Temple and Mangalavanam Bird Sanctuary. Come back to rest your head in OYOs peaceful environment. Dont worry if you get short on cash, as there is HDFC Bank ATM, Axis Bank ATM and Dhanalakshmi Bank ATM located at a walkable distance.